Hey everyone, BwanaDevil's events calendar is back! 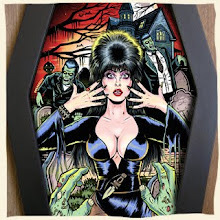 Visit http://www.bwanadevil.com/NEWS.html to be well informed about psychobilly, rockabilly, surf concerts, conventions and more! And if you want to to include an event in our agenda, all you have to do is send us an email to bands@bwanadevil.com with the concert or event info that you want us to publish, we'll do the rest. Long live Rock n' roll! Crazy Cavan & the Rhythm Rockers and more....! 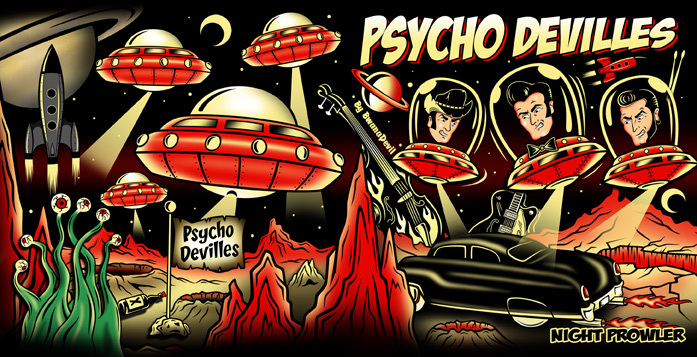 Hola a tod@s, vuelve la agenda de conciertos BwanaDevil Visita http://www.bwanadevil.com/NOTICIAS.html para estar bien informado de los conciertos Psychobilly, Rockabilly, Surf, festivales, convenciones y mucho más. Ademas, y como siempre si quieres incluir un evento en nuestra agenda sólamente tienes que enviarnos un e-mail a bands@bwanadevil.com con la información del concierto o festival que quieres publicar, nosotros haremos el resto. Larga vida al Rock and Roll!!! 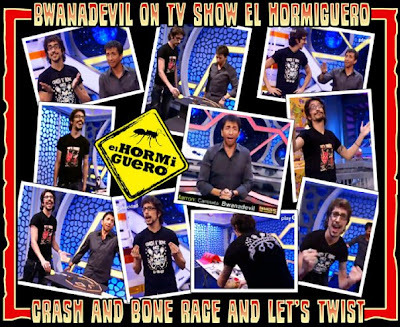 BwanaDevil ha tenido el placer de formar parte de El Hormiguero, programa de TV en España, gracias a Marron uno de sus colaboradores y al equipo de vestuario. 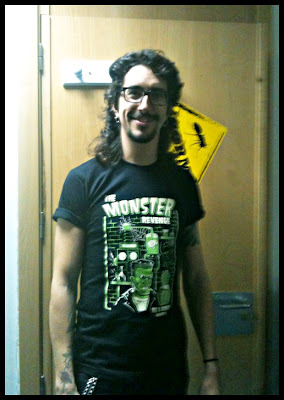 El Lunes pasado Marron lucia "The Monster Revenge" uno de nuestros utlimos lanzamientos en camisetas. 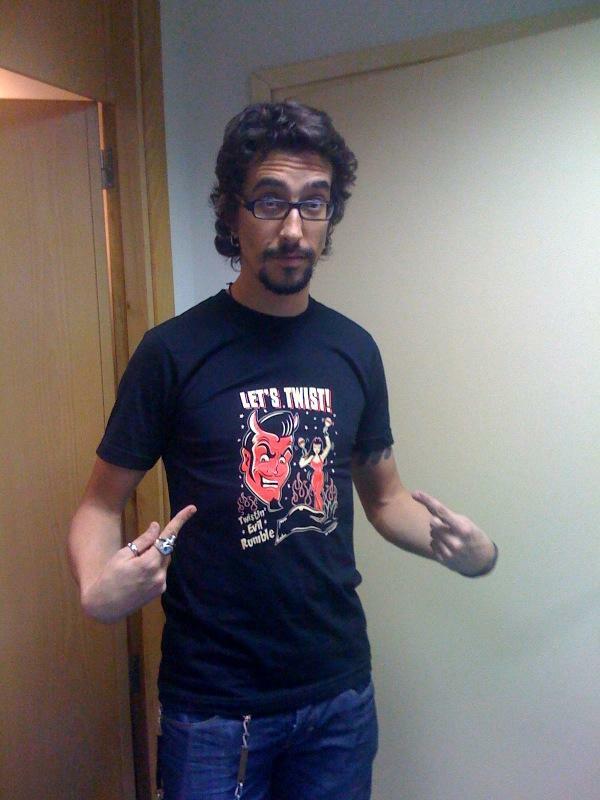 Pero esta no ha sido la unica vez que Marron nos a llevado a la pequeña pantalla, tambien lo hizo anteriormente con diseños como Let's Twist, Crash n' Bone Race, Psychobilly to the Bone II y Psychobilly Sour Girl. 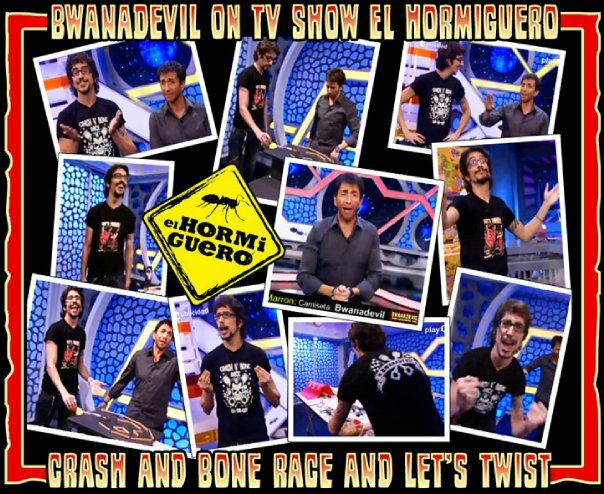 Muchas gracias a todos ellos de parte de BwanaDevil! 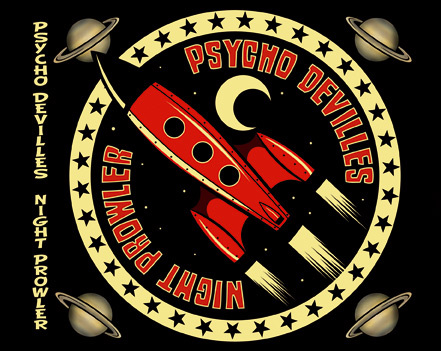 Today we're gonna talk about a band from Atlanta Georgia, we had the pleasure of working with, Psycho-DeVilles. 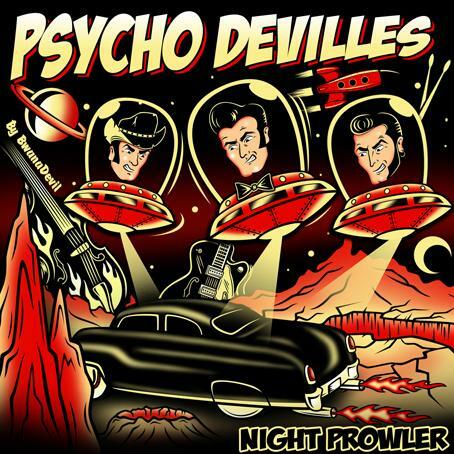 BwanaDevil has created the artwork for their album Night Prowler which was released in 2009. The band was formed in 2002 playing throughout the South East U.S. A live CD was recorded and released in late 2003. 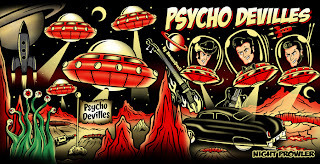 In the year 2005 the band released a CD called "Psycho Cadillac" with 22 original songs, and in 2007 they recorded the album "SuperCharger". We highly recommend all their albums! If you haven't yet, visit their website http://www.psychodevilles.com/ or their Myspace http://www.myspace.com/psychodevilles and don't forget to purchase one of their rockin' albums! Hoy vamos a hablar de una banda de Atlanta Georgia, con la que hemos tenido el placer de trabajar, ellos son Psycho-DeVilles. BwanaDevil ha creado el arte del album Night Prowler, que salio a la venta en el 2009. 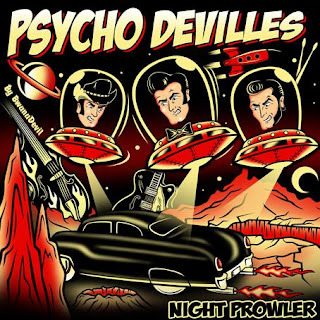 Psycho-DeVilles también conocidos como Hot Rod Walt and The Psycho Devilles, es una banda que se formó en el año 2002 tocando por el Sur Este de USA. A finales del 2003 sacaron un CD en directo, aperitivo de lo que estaba por venir. 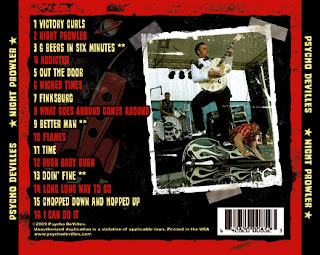 En 2005 la banda publicó "Psycho Cadillac" con 22 canciones originales, y en 2007 grabaron "Supercharger". Todos sus albumes son altamente recomendables! 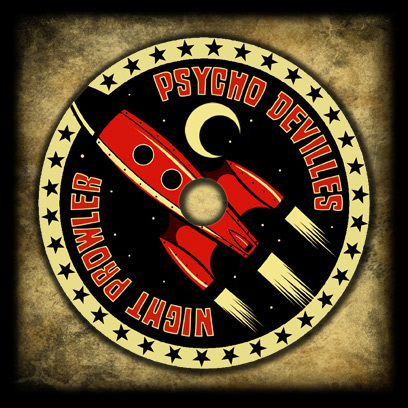 Si no la has hecho todavia, visita su pagina web http://www.psychodevilles.com/ y su Myspace http://www.myspace.com/psychodevilles y no te olvides de comprar uno de sus tremendos albumes! "Hot Rod Walt" aka Walt Richards, was born in 1966. Lived the first half of his life in the very rural town of Beemerville New Jersey. Moved to North Port Florida in 1989. In 2006,moved to the Atlanta area where the music scene is huge and the southern hospitality is overwhelming. Not only does he play guitar and sing in the Psycho-DeVilles, but works on custom cars and motorcycles. Does hand pinstriping and really just about anything you can imagine on a car or bike. He has a pretty cool car collection that includes a couple 51 mercs and a couple 32 Fords. And a 34 coupe, the famed "Yellow Jacket".... Even a Pink 60 Caddy. And....he has a very cool wife named Sharlene. Hot Rod Walt and the Psycho DeVilles was formed in 2002. They have released 4 CDs... "Out of the garage and onto the street", "Psycho Cadillac", "Supercharger" and "Night Prowler". A new record is in the works and will be released early 2011. This will be Hot Rod Walt's nineth full length Cd overall, having had a few bands in the past as well. He takes pride in recording only original music and has about 200 original songs to his name. And takes pride in playing nothing but Gretsch guitars........ Nothing else compares. Hot Rod Walt shares the stage with two talented and loyal musicians. Paul "Stubbs" Diffin, a true showman on the upright bass. Originally from Essex England and former member of the Blue Cats and the Big Six. 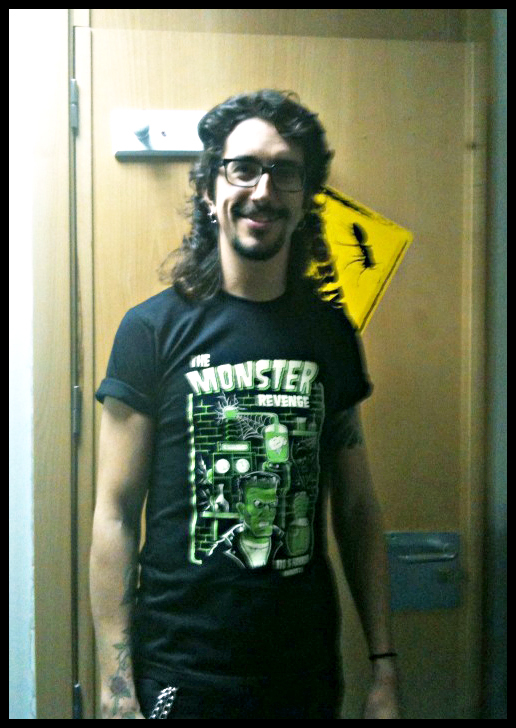 Steve "Burnout" Barnett the hard hittin' punk rock drummer that never runs out of energy. 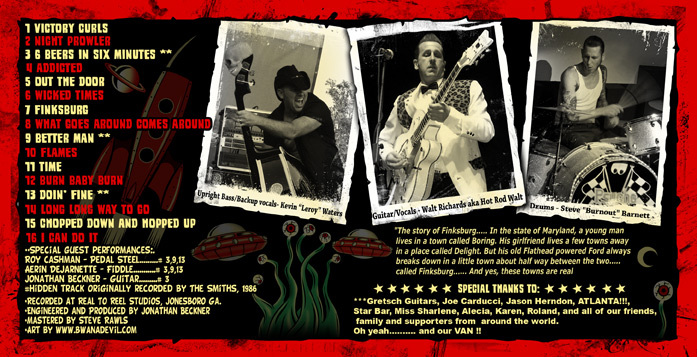 Here are a few of the bands that they have shared the stage with... Th' Legendary Shack Shakers, Deke Dickerson, Rosie Flores, Cigar Store Indians, The Dempseys, C.C. 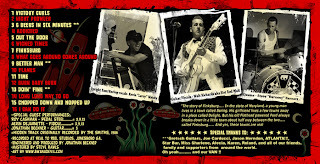 Adcock, Big Sandy, Kim Lenz, Pepe Torres, Rosie Flores,Unknown Hinson,Slim Jim Phantom, Wanda Jackson, Nekromantix, Choptops, Twistin Turanchulas, Hillbilly Casino,Three Bad Jacks,Thrill Kill Kult, Rev Horton Heat and many, many more. It's a bird, it's plane...no, it's BwanaDevil! They're here!!!!!!!!!!!!! BwanaDevil discounts from outer space!!! 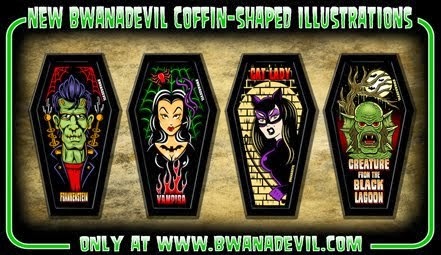 Visit www.bwanadevil.com You have until February 15h, so hurry up! Ya estan aqui!!!!!!!!!!!! 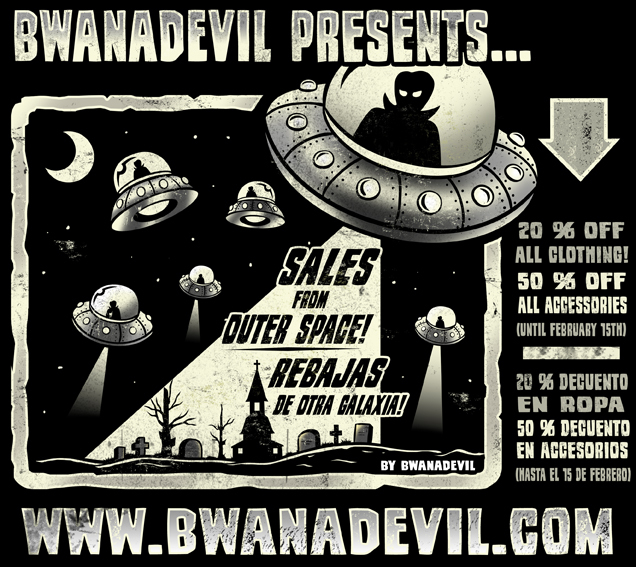 Rebajas BwanaDevil de otra galaxia!!! 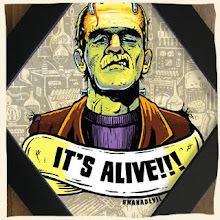 Visita www.bwanadevil.com Tienes hasta el 15 de Febrero, a que esperas!